Fuel duty will remain frozen at 57.95 pence per litre from next April, the eighth successive year that rises have been cancelled, under plans announced during the 2017 Budget. Fuel duty has been frozen since 2010. Chancellor Philip Hammond said the freeze – the longest period in 40 years – will have saved the average car driver £850 and van drivers over £2,100 by April 2019, compared to the escalator plans announced under the Labour Government. This had been at a cost of £46bn to the Exchequer. Over the next three years, the fuel duty freeze will reduce tax take by £2.5bn, according to documents from HM Treasury. 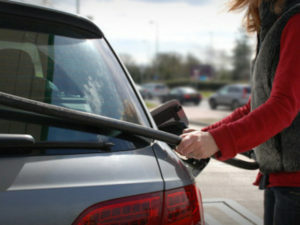 A review of fuel duty rates for alternatives to petrol and diesel will take place ahead of next year’s Budget. The LPG rate is to be frozen alongside the main fuel duty rate.